Fortress Of Freedom Board :: View topic - TWENTY6HUNDRED Signs Record Deal With FOF! TWENTY6HUNDRED Signs Record Deal With FOF! Posted: Sat Aug 24, 2013 9:33 pm Post subject: TWENTY6HUNDRED Signs Record Deal With FOF! 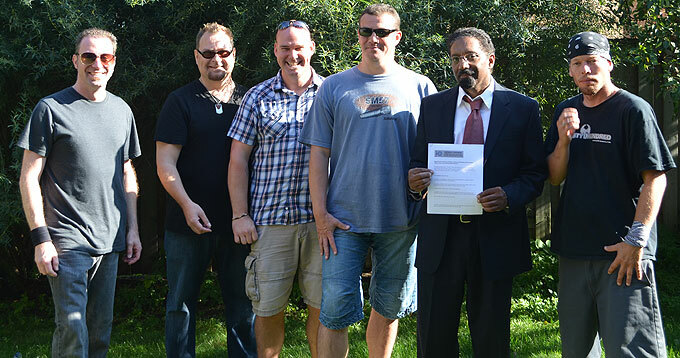 By Shane Murphy, FOF Inc/FOF Records Inc.
TWENTY6HUNDRED (L-R: Jim Burdon, Michael Atkinson, Randy Nolson, Mihai Trusca) with Maurice Ali and Shane Murphy of FOF at contract signing! 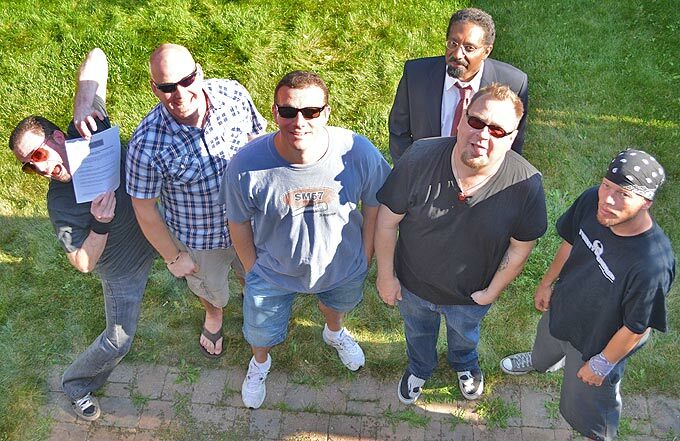 The Fortress Of Freedom corporation and the members of the band TWENTY6HUNDRED have signed and now operate together again under terms of a new recording contract. Wendel has now officially left the band and we are now pleased to introduce you to the newest member of TWENTY6HUNDRED: Mihai Trusca! The band is already into tracking of their new music and the contract cements all forms of production and promotion. So from all of us at FOF and FOF Records, we all wish Michael, Jim, Randy and Mihai the best of luck on TWENTY6HUNDRED'S new album! Another view of the contract signing!